To be honest, I’ve never read Anne of Green Gables nor have I ever been motivated to do so. I do realize it is a big part of Canadiana and something that is known around the world. Maybe I should show more pride? At the very least, we were committed in visiting the National Historic Site while we were in PEI. So we did the 45 minute drive out there to look at the House as well as the grounds. Pretty neat. Somehow it reminded me of the PNE show home, but from 1908. After that, we were pretty hungry, so we went to the nearest spot being The Lost Anchor. We let the 2 oldest boys sit at a table by themselves which also meant that they could order whatever they wanted. 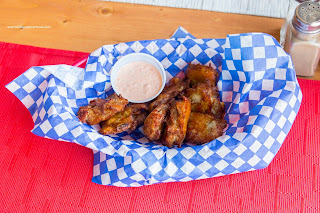 My son decided to start with the Pork Ribs with aioli. These were rather saucy as well as being meaty and tender (and a bit greasy). That wasn’t necessarily a bad thing as it was appealing in texture and nicely sweet and savoury. The dip was creamy, but not as flavourful as it looked. 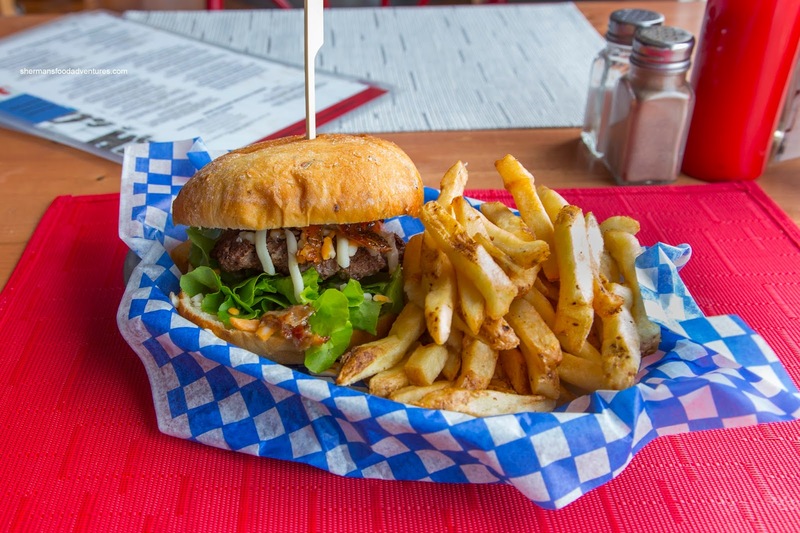 For his main, he went for the Anchor Burger which featured a well-seared patty that was lean and dry. 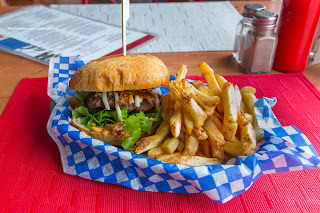 It was definitely meaty, but not as tender as we would’ve liked to see. The side of fries were good though being lightly crispy while very potatoey. For myself, I went for another Lobster Roll which turned out to be a sandwich. 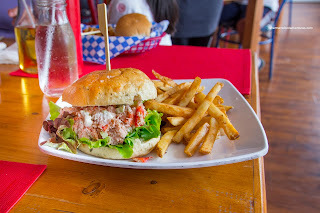 It featured mostly shredded lobster meat mixed with mayo and celery. This was okay, but without large chunks of lobster, the texture was almost like crab (except just a bit chewier). Flavourwise, I didn’t get big hits of lobster, but it was there, while there was a vanilla type finish. I thought the scallion bun was not a good match as it was too robust. 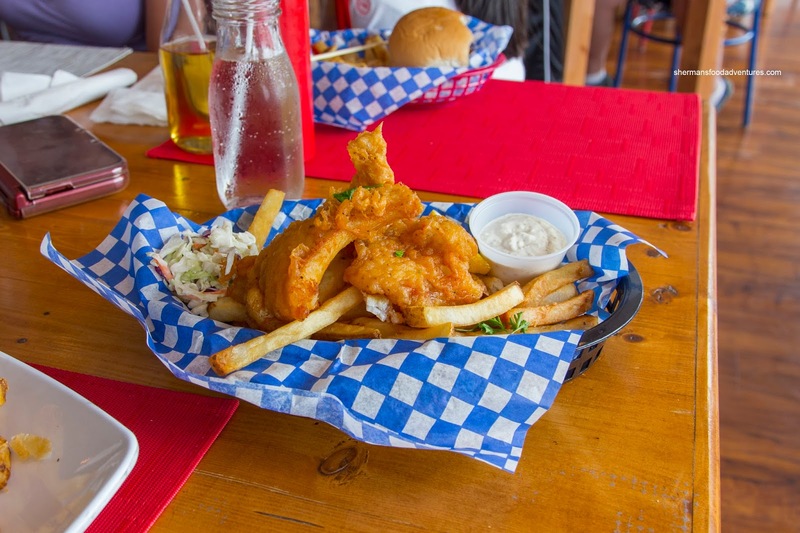 Elaine had the Bully Forbes Fish and Chips that featured 2 pieces of flaky haddock coated in a crispy and light batter. Again, the fries were excellent being naturally textured while still being a fry (as in not mushy). 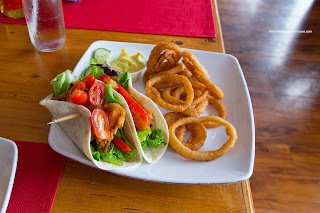 Viv had the Deck Hand Fish Tacos which featured smaller pieces of fried fish which were predictably even more crunchy. It was texturally on point and went well with the soft tortilla. There was an interesting twist with a lime sour cream combined with fresh tomatoes and lettuce. 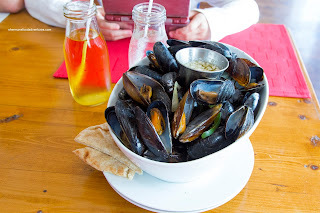 Okay, now don't worry, we also had the streamed Fresh PEI Mussels which were fresh and nicely briny. They were buttery and sweet featuring only their natural juices (with butter on the side). 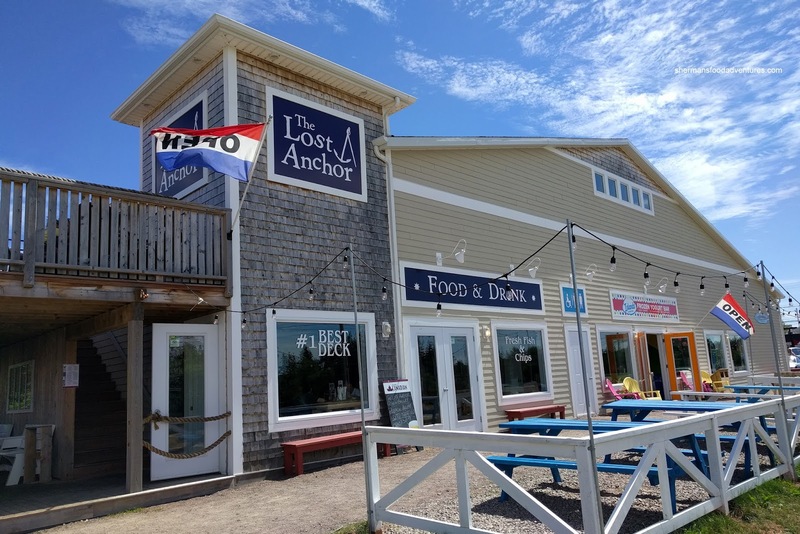 Okay, for a random restaurant close to a tourist attraction, The Lost Anchor did its job for a reasonable price. No, it wasn't anything life-changing, but we weren't expecting that either.